Stephen Fry talks to John Lydon and Stephen Pinker about language and emotion. Can we really say how we feel? And how great is the gap between words and emotion? Stephen gets emotional as he attempts to measure the gap between feelings and the language we use to express it. 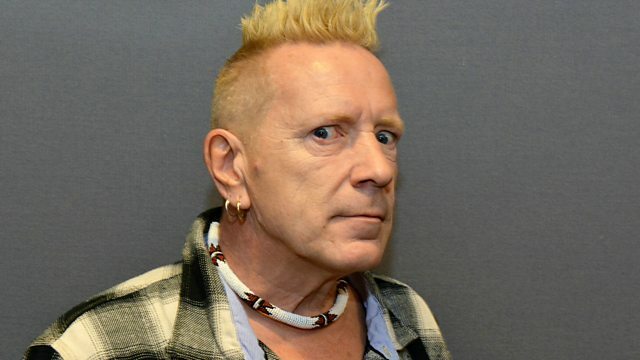 He's joined from LA by John Lydon - a man who famously wears his emotions on his sleeve - albeit torn in several places. John describes how anger has been his energy throughout his life and how being the frontman of a band allows him to express 'proper emotions'. Emotion and language are both held to be proof of our humanity but, as Professor Stephen Pinker explains, there's a mismatch between the two. We often fail to control the emotion in our language. At other times the language we have to express our emotions fails us altogether. For some, this can be extra challenging. Dr Rebecca Chilvers at Great Ormond Street Hospital describes how people with autism often struggle to express feelings, over-relying on learned cliche or creating startlingly unusual turns of phrase. And how does emotion translate to text? Poet Kate Tempest describes the raw feelings that go into her live performances. And we hear how mood and food unite in language. A bad restaurant review often employs the language of a trauma victim to express disgust. Today the old fashioned love letter has been usurped by a new hieroglyphic language - emoji, serving both our need for micro-second communication and our desire to emote. Should this inspire a frown face, single tear drop or a smiley grin? We now have more than 722 emoji to help us out. But how do we assess their sincerity? And although machines don't have emotions, computers can now detect them in text. Professor Stephen Pulman, computational linguist, explains 'sentiment analysis'. A collection of programmes featuring Stephen Fry.